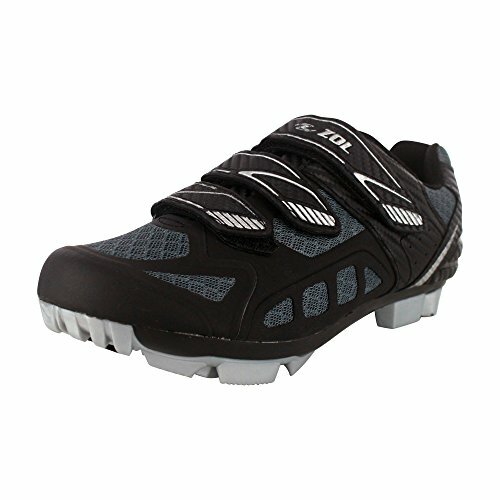 Do I need both indoor and outdoor cycling shoes? What to look for when buying women’s indoor cycling shoes? Indoor cycling classes are a great, exciting and increasingly popular way to burn some calories. If you have ever tried a spin class, you will know how important it is to have suitable gear, and that includes indoor cycle shoes. With your feet doing so much hard work, it is worth looking into ways to keep them comfortable and pedaling hard during your workout. If you are serious about getting the most out of your spin class, there are several factors to consider when deciding which indoor cycling shoes to buy. Therefore, this guide to the best women’s indoor cycling shoes in 2019 will help you to pick the ideal footwear for your next spin class. Read on to find out more. 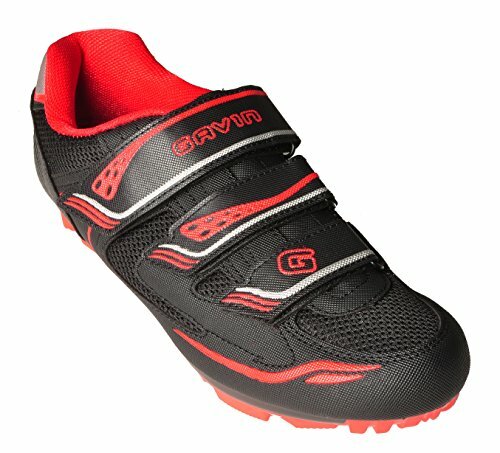 The Gavin Off-Road Mountain Cycling Shoes MTB is a stylish and reliable choice for your spin class. They have a rigid nylon fiberglass sole, provide excellent support and offer a snug, precise fit. With a hook and loop strap closure, you can quickly get these shoes on and off with ease, leaving more time for cycling. They are made of synthetic microfiber leather and display a lightweight design with mesh panels to increase breathability during sweaty classes. Designed to work with a clipless pedal system, this product is compatible with SPD, Crank Brothers, and MTB cleats. + Functional yet tasteful design. + Mesh panels, air vents, and breathable materials to keep you cool. + Stiff sole resists flex for good power transfer. + Reflective accents for night-time safety. Why we like it – The non-flexible, rigid sole of these shoes allows for maximum power transfer, making them a high-performance option. Plus, they are designed to keep your feet cool while you cycle. The Tommaso Pista 100 shoe is designed for comfort, performance, and versatility. Suitable for all cleat and pedal types, these shoes are ideal for any spin class including Peloton. Made of synthetic leather and featuring a snug, precise fit with an ergonomic three strap closure, you can expect superb comfort from the Tommaso Pista 100. The soles are crafted from stiff, reinforced fiberglass for maximum power transfer. Features such as toe-box ventilation, a perforated tongue, and a moisture-wicking liner keep your feet cool by allowing air circulation. These shoes are available in a range of stylish colors and feature understated straps. + Compatible with all cleat and pedal types. + Stiff fiberglass soles for optimum performance. + Breathable with moisture-wicking features. + Designed for spin classes. Why we like it – These performance-focused Tommaso Pista shoes are a great option for any spin class. With ergonomic features and breathable design, they are sure to offer maximum comfort. 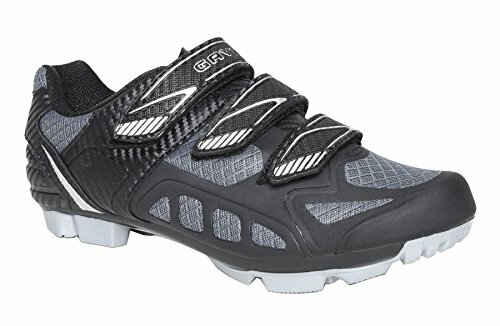 The unisex Gavin MTB Mountain Bike Mesh Indoor Fitness cycling shoes feel lightweight and have plenty of features for comfort and utility. They are compatible with 2 bolt cleats, making them suitable for SPD, Crank Brothers, and MTB pedals. A nylon sole injected with fiberglass allows for fantastic power transfer, while a hardwearing toe box and bumper make these shoes a great option for trail rides as well as indoor cycling. If comfort is your top priority, you will enjoy features including a perforated insole, a carbon fiber designed heel cup and a notch in the tongue for ankle flexibility. + Generous toe bumper to resist impact. Why we like it – These Gavin shoes are excellent for the cyclist who appreciates comfort, with elements such as a tongue notch for movement, mesh panels to keep feet cool and a padded collar. These Zol Predator MTB Mountain Bike and Indoor Cycling Shoes are both comfortable and durable. With a precise, snug fit and carbon fiber designed straps and heel cup, you can be sure of a stable and comfy shoe. The mesh leather front is breathable, while the stiff nylon sole is double-injected with fiberglass to help you get the most out of your workout. This stylish black shoe comes with red or silver accents and looks great either way. Suitable for 2 bolt cleats, these can be used with SPD, Crank Brothers or MTB pedals. + Durable mesh leather front. + Perforated insole drains moisture. + Designed for stability and comfort. + Indoor and outdoor use. Why we like it – These versatile, dependable and well-ventilated cycling shoes are great all-rounders. They have an impressive range of useful features for comfortable, high-performance usage both indoors and outdoors. The versatile Tommaso Terra 100 Women’s cycling shoes are a reliable choice whether you plan to go mountain biking, road cycling or stay inside for an indoor class. A rigid fiberglass reinforced sole allows maximum power transfer, ensuring that you get the most out of your ride. Compatible with 2-bolt cleats, these shoes sport a rubberized sole meaning this allows for easy walking as well as cycling. An ergonomic fit is another great feature of the Tommaso Terra 100 and padding in the heel and tongue ensures a comfortable fit so that you can cycle to the best of your ability. + Stiff fiberglass reinforced sole. + Suitable for indoor and outdoor cycling. + Comfortable to walk in. Why we like it – These high-quality cycling shoes are designed for multiple uses. Whether you are spinning, mountain biking or on the road, this product will help you cycle faster for longer. With so many indoor cycling shoes with clips on the market, it can be difficult to decide which ones to go for. 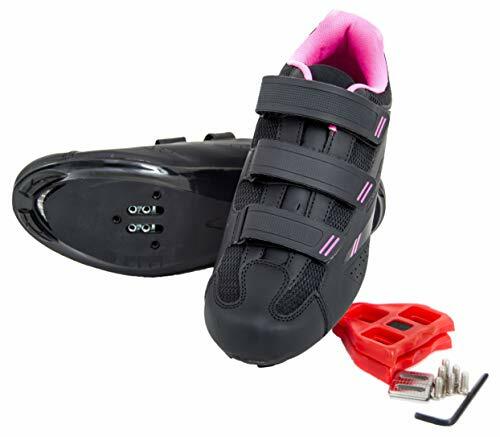 This buyers guide will take you through the factors you may want to consider if you plan to invest in some great women’s indoor spinning shoes to help you get the most out of your ride. Whether you are a spin class regular or just getting started, you might be wondering if it’s even worth shelling out for an indoor cycle shoe with clips when so many gyms and studios offer them on a rental basis. There are a few things to consider here. Firstly, if you pay a fee every time you attend a class, the cost of renting can add up. If you are a committed cyclist, you could save money by investing in a durable yet good value pair of indoor cycling shoes. Furthermore, many people prefer not to share shoes with numerous other studio-goers. This is understandable when you think how sweaty a spin session can get! However, arguably the most important consideration here is performance. If you feel like rented shoes are not allowing you to spin to the best of your ability, you could benefit from a comfortable, high-performance pair of your own. Wearing the correct size and getting optimal support from your spin shoes is highly important. If you spend time mountain biking or cycling on the road as well as indoors, you are probably wondering if you need separate cycle shoes for different types of biking. Road cyclists will be pleased to know that a pair of indoor bike shoes may suit your outdoor pursuits well, as they are built for speed and stamina. Furthermore, many of the shoes in our guide are built for multiple uses, including mountain biking. However, outdoor cycling shoes may have less ventilation and be heavier than spin shoes, so keep this in mind if you want a particularly breathable shoe. If you know you will be switching between indoor and outdoor use, look for footwear which specifically states that it can be used for your intended purposes. Don’t forget to make sure that the cleat system on your shoes matches all the pedals you will be using. When buying a pair of shoes for indoor cycling, comfort is likely to be a top priority. Look for products which have an optimum amount of padding in areas such as the heel and tongue to minimize rubbing during your workout. Also, consider an ergonomic design which fits your feet well. Your indoor cycle shoes should be snug but not too tight. Durable, adjustable, Velcro hook and strap closure systems can help to achieve a good fit and make getting your footwear on and off quick and easy. No one wants sweaty, overheated feet in the middle of a spin class, so look out for breathable materials and other features which will keep you cool, such as moisture wicking liners. Ample ventilation may also help to maximize comfort during exercise. You might feel like your indoor cycling shoes feel a little stiff. This is because many of them have soles injected with fiberglass or made of other tough materials. A rigid sole which helps with power transfer so you can cycle harder and faster is standard in indoor and road cycling shoes. However, it is possible for a sole to be too inflexible, particularly around the toe area, leading to discomfort. One of the most important aspects of buying indoor cycling shoes is cleats. There are two main types of cleat system: two-hole or three-hole. The two-hole SPD system is common in cycle studios and gyms, and many shoes are only compatible with this type of cleat. However, three-hole Delta cleats are also commonplace (think Peloton bikes). Find out what kind of cleats you will need for the bikes you most regularly use, and you shouldn’t have a problem. 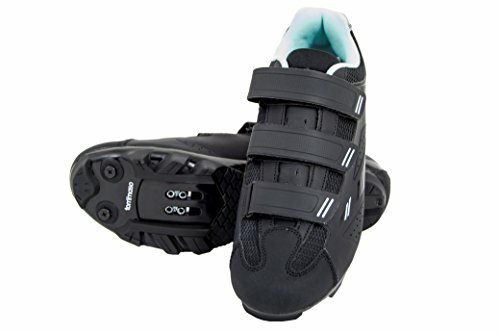 Overall, while there are many factors to consider when buying women’s indoor cycling shoes, choosing a pair is not as confusing as it might seem and there are lots of options on the market in 2019. We are confident that you will find the perfect footwear for you in no time.